Flags at half mast for cricketer Phillip Hughes. 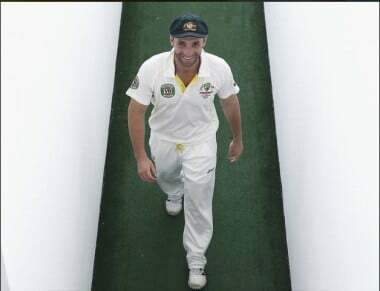 Phillip Hughes the world remembers you. Flags across Sydney will fly at half-mast today in honour of 25-year-old Phillip Hughes who lost his life yesterday from head injuries. Hughes sustained from a blow to the head in a Sheffield Shield match on Tuesday at the Sydney Cricket Ground. Tributes have poured in from around the world and flags have flown at half-mast at cricket grounds throughout Australia, UK, New Zealand and South Africa. The blow that killed Phillip Hughes has been described by Australian team doctor Peter Brukner as “incredibly rare”, happening only once before with a cricket ball. He said that in fact there were only 100 reported cases of the vertebral artery dissection Hughes suffered. “This was a freakish accident because it was an injury to the neck that caused a haemorrhage in the brain,” Brukner said. For a tribute to Phillip Hughes read this post here. For more on how the world is paying its respects read this post here. 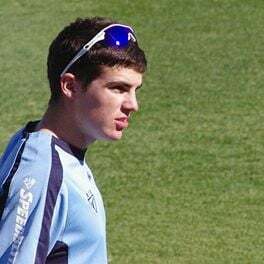 As the cricketing community and the rest of Australia come to terms with the death of Phillip Hughes all eyes turn towards Sean Abbott with an outpouring of concern and support for the 22-year-old. 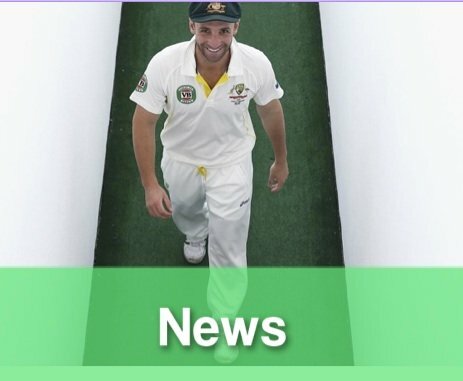 News Limited report that Hughes’ sister Megan counselled the devastated cricketer while Australian captain Michael Clarke, Prime Minister Tony Abbott and the cricket community have showed their support. A grass roots campaign to honour the 25-year-old cricketer is trending on social media after a father started with a gentle gesture placing his cricket bat outside his home and tweeting #putoutyourbats. The gesture has taken off with households around the world placing their cricket bats by the front door. A report tabled in parliament yesterday shows that a child dies of suicide in Australia each week – and between 50 and 60 more are hospitalised for trying to kill themselves. 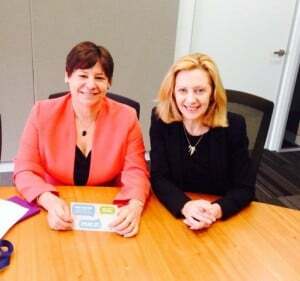 The report, tabled by National Children’s Commissioner Megan Mitchell and based on unpublished data from the National Coronial Information Service reveals that three out of four suicides happen at home. Boys are twice as likely as girls to take their own lives. Indigenous children aged four to nine are twice as likely to kill themselves as others the same age. Megan Mitchell has called for age restrictions on the sale of headache tablets and has questioned the role of social media, saying we need more research into the impact of social media on children’s psychological wellbeing. An overnight storm in Brisbane has seen hail stones as big as golf balls and the army has had to come in to help clean up the damage for what was the state’s worst storm in six years. 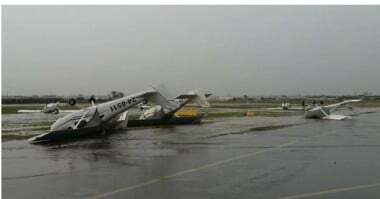 Planes were flipped over at Archerfield Airport and 75,000 homes were left without power. Insurance Council of Australia spokesman Campbell Fuller told The Courier Mail that the storm had been declared a catastrophic weather event with insurers receiving 2000 calls within hours of the storm. The Sydney mother who allegedly threw her newborn baby down a drain and left him for five days will appear in Penrith local court today. She has been charged with attempted murder. Police have opposed her bail as they viewed her as a flight risk as her parents and siblings live in Samoa. A new book about murdered mother Allison Baden-Clay reveals that she almost once married another man – a scuba diver instructor who she fell in love with before she met Gerard Baden-Clay. The book, The Murder of Allison Baden Clay by The Courier Mail‘s crime and courts editor, David Murray, says that it was a fateful decision she chose to marry Baden-Clay over her former fiancé confiding in friends at the time she was ‘hopelessly divided’. Five-year old boy no jail time. A judge has spared the father of a boy who died after falling ill in their squalid Melbourne home a jail term saying he believed the man had been sufficiently punished through the loss of his family. The five-year-old son of the man died after cutting his foot on an open can of cat food. Yesterday the 43-year-old man was given a three-year jail term that was wholly suspended and a $100 fine for failing to register the birth of a child. The Age reports that the judge, County Court chief judge Michael Rozenes, found the man had failed to ensure the safety of his two sons. 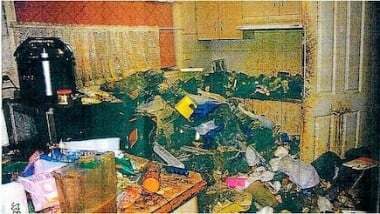 “A responsible parent would have removed the children, called in the authorities and done more than have got a couple of (rubbish) skips,” he said. But Judge Rozenes said the man had been “sufficiently punished already” after losing both children and his wife who died. Two babies who were swapped at birth in a South African hospital should stay with their non-biological families a recommendation from an expert has said. The babies were swapped when a midwife mixed up their name tags and the mistake was only found when one of the mother’s underwent DNA tests after her ex-husband refused to pay child maintenance and demanded a paternity test. An expert, Dr Ann Skelton, who was appointed to investigate the best outcome to the case, said the children’s bonds with the mothers who were raising them was “very strong”. “The recommendation is that the children should stay with the parents who have raised them and should also be permitted to have contact with their biological parents,” she said. A suicide bomber has attacked a British embassy vehicle in Kabul killing at least five Afghan civilians and wounding more than 30 others. The BBC reports that an embassy spokesman confirmed the attack. One of those killed was a British embassy staff member. By political correspondent Greg Jennett. Federal Parliament has embraced the schoolyard tradition of an “end-of-year muck-up day” setting new standards in misbehaviour. In a raucous Question Time to end Parliament’s penultimate sitting week, the Speaker, Bronwyn Bishop, suspended 18 MPs – all Labor. With a massively depleted front and back bench behind him, a frustrated manager of Opposition business Tony Burke rose to inform the House “18 people in one Question Time is an all-time record since Federation”. An equally frustrated Leader of the House Christopher Pyne responded, describing the Opposition as “idiots”, adding: “The Australian public should know that the Labor Party have run a deliberate strategy of ejection today from the House. 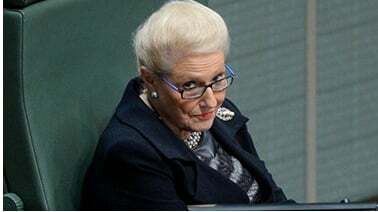 Ms Bishop agreed, noting her long list of suspensions included many Victorian MPs “who perhaps wish to go back and campaign” along with others who “may wish to have early planes” to return to their electorates for the three-day break before Parliament resumes for its final sitting week of the year. Reflecting on the depleted seats to her left at the end of the Question Time, Ms Bishop was in no mind to accept Labor’s suggestions she may have acted with haste or been heavy-handed. “Simply to stand there and try and say that you all behaved like little angels and were picked on is pathetic,” she told Mr Burke and Opposition Leader Bill Shorten. The day carers force-fed the children. 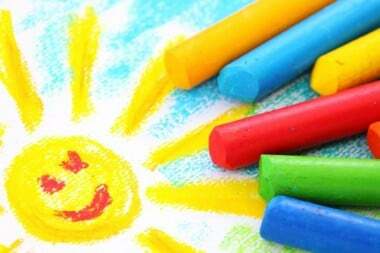 Two early childhood teachers who admitted to holding back heads of young children and force-feeding them have been allowed to continue to teach, although under strict conditions. The New Zealand teachers worked at an Early Learning Centre in Tokoroa, NZ. One was the manager and her daughter, an educator. The New Zealand Herald reports that the women admitted to force-feeding and mistreated children in their care. A Teachers Disciplinary Tribunal decision said that Rebecca Ngapo shovelled spoonfuls of food into a child’s mouth when the child opened their mouth to breath or cry as well as yelling at the child to “hurry up” and “swallow it”. She also admitted to locking the children in a small room for periods of five minutes or more. While her mother admitted to holding a child’s head back and force-feeding them stew. 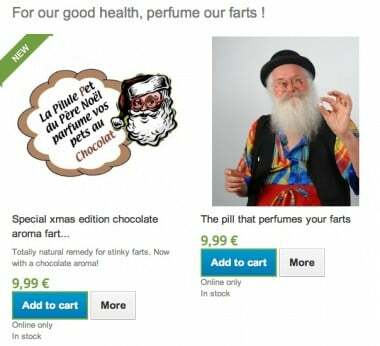 A French inventor has created a pill that makes farts smell like chocolate. The Telegraph reports that Christian Poincheval the 65-year-old French inventor has created pills that ease digestion and “perfume” farts into smelling like roses or violets. His newest invention is pills that make your farts smell like chocolate. The inventor says he was inspired after attending a dinner party where the guests let it rip.